‘The Multi-Media Men Podcast #10 – ‘October Films That Fascinate Us’!!! It is the beginning of October, which means we we discussed the movies that are coming out this month that we are most looking forward to. This month has some amazing films being released. 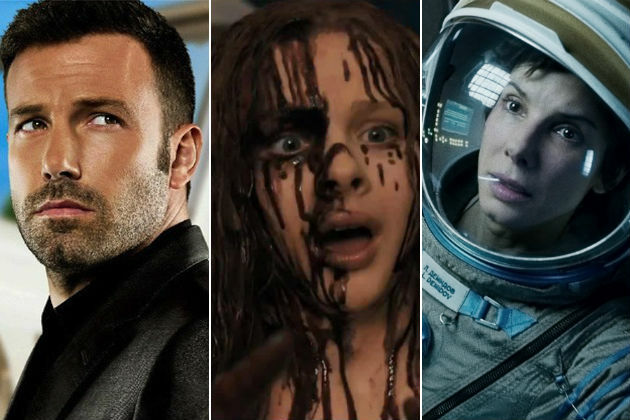 Potentially some Oscar contenders, so give this episode a listen and get excited for possibly some of the best films that are coming out all year, including ‘Gravity‘. Enjoy the show…. ‘Films to See in November’!! The Multi Media Men Podcast #10 – ‘In The News’!!! This entry was posted on Wednesday, October 9th, 2013 at 12:00 pm	and is filed under Film, News. You can follow any responses to this entry through the RSS 2.0 feed. You can skip to the end and leave a response. Pinging is currently not allowed. « David Blaine Lands Celebrity-Studded Magic Special on ABC!! [the judges vote to let Average Joe's play] That is pure poppycock!